Facebook Messenger is a free mobile messaging application that is used for instant messaging, sharing photos, audio recordings, group chats, and for making videos. It is an instant messaging service offered by Facebook to its users who want to send messages to their friends and family. The Facebook website and Facebook messenger app are completely separated from each other. So, you don’t need to connect to the Facebook website before using facebook messenger app. The amazing features of the messenger include sending text, pictures, videos making, video or audio calls and others. This app is free to download and it can be used to communicate with your friends on Facebook and with your phone contacts. 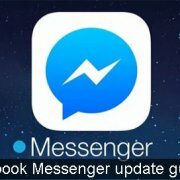 Facebook Messenger can be used on a computer by visiting the official platform. The app can also be used on iPhone, iPads and Android devices. Some feature is always added to the Facebook messenger app most time. 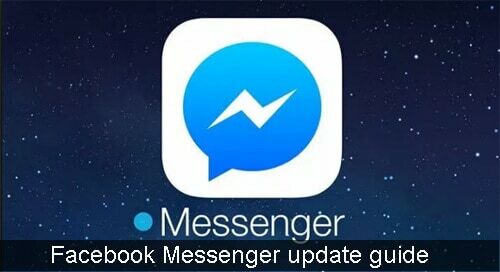 A new version of Facebook Messenger will be released anytime the features are added. For users to enjoy these features you have to download and install the update on your phone. You have access to download the update from your app store. Start your device and open play store in your app list. On play store, click on the “my app and games” button. Scroll through the Updates section to find the Messenger app. Click on the messenger button then tap the update button. Wait patiently for the app to update and start it immediately after updating it to enjoy new features. In case you are unable to update the app, just uninstall and reinstall the app. Once that is done you will be able to download the new one. You can click HERE to download the app on your Android device. On your home screen, open the app store. Click on the update tab, scroll through the available update and locate the Messenger app. Click on the update button when you find the messenger app. After updating the app it will automatically install on your device. You can also uninstall and reinstall if the app does not update. Click HERE to download the facebook messenger app for your iPhones and iPads. NOTE: You can also click HERE to download from window store. Open the App Store on your device and click on the search button. Enter the keyword “Messenger” in the search engine and wait for the search result. Click on the “install” button, the app will immediately start to download. Once you finish downloading, there should be an ‘’Open’’ button to tap in the App Store so as to start using Facebook Messenger. You can simply find the Messenger icon in your apps, tap it and wait for it to install on your device. Once you have launched the app, you can now sign up for an account or login if you already have an account.